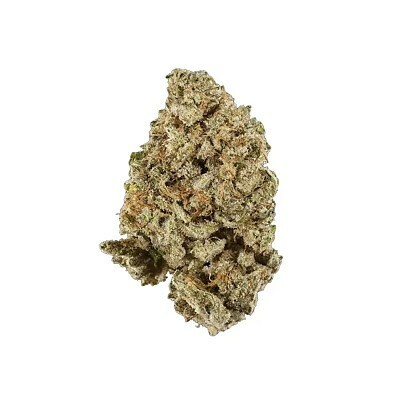 Cookie Glue is an evenly balanced hybrid (50% indica/50% sativa) strain created through crossing the classic Girl Scout Cookies with the infamous Gorilla Glue #4. The high comes on slowly at first with a lightly building sense of euphoria that leaves you happy and completely at ease. As this blissful effect grows, a sense of calm will suddenly wash over your body, calming any aches or pains instantly. This effect will quickly become tingly before dropping you into a state of completely numb relaxation that soon spreads to your mind as well. In combination with its high 18% average THC level, these hard-hitting effects make Cookie Glue perfect for treating conditions such as chronic pain, muscle spasms, seizures, arthritis, and fibromyalgia. Cookie Glue has a delicious spicy and sour fruity pine flavor and an aroma of herbal earth accented by nutty wood and a touch of skunk. This bud has long spade-shaped dark olive green nugs with light amber furry hairs and a coating of sparse chunky crystal trichomes.